Following the success of Rush Hour's 2012 Burrell Brothers retrospective, The Nu Groove Years 1988-92, it was almost inevitable that some of that material would be repressed. 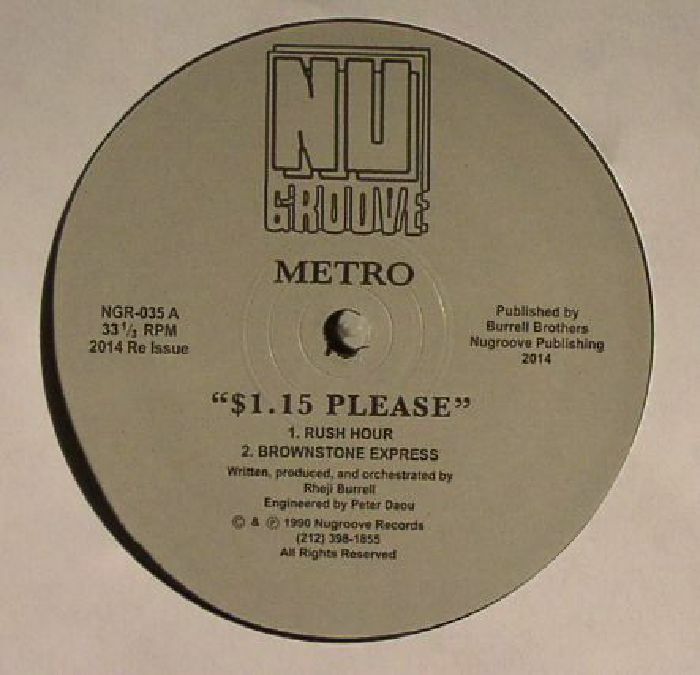 $1.15 please was Rheji Burrell's second 12" for Nu Groove under the Metro alias, and has long been regarded as something of a deep house classic. 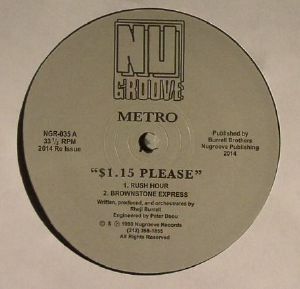 It features four pleasingly varied cuts, from the deep house-meets-acid pulse of the brilliant "Rush Hour" to the celebratory release of the '89 style Chicago piano house of "Turntable Turbulence". It's arguably the deeper tracks that make the greatest impact, though, with "Brownstone Express" - a superb fusion of bustling drum machine rhythms and dreamy, head-in-the-clouds chords - being amongst Rheji's finest solo productions.